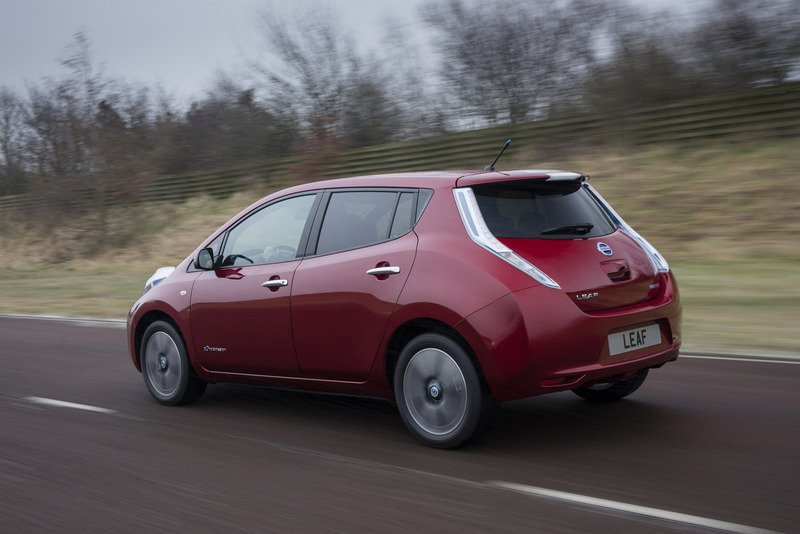 The new Nissan LEAF has arrived – and it has a longer range, is more practical, better to drive and has even more equipment. 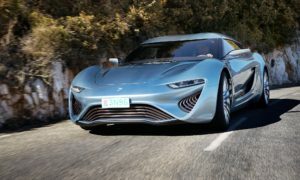 Since its launch in 2011, more than 50,000 examples have found homes and the world's best-selling pure electric vehicle has been built solely in Japan. 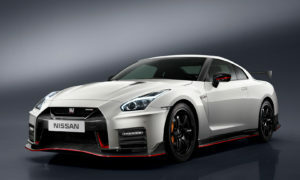 But production of the new model will soon commence at Nissan’s Sunderland production facility with more than 100 changes made to the multi-award winning car. Improvements include an extended driving range, greater recyclability, more interior space, better charging performance, more equipment and, with three versions now available, greater choice. Subtle styling changes to the nose of the car have improved its already impressive aerodynamic efficiency. 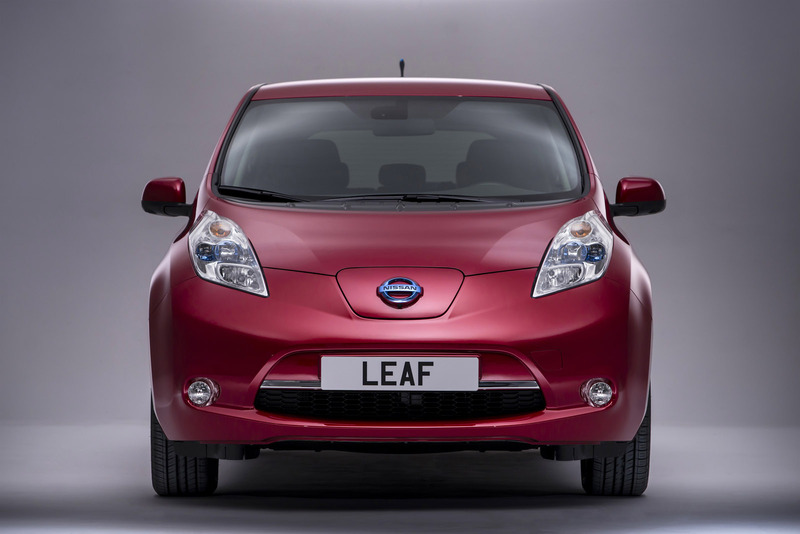 Many of the changes have come as a direct result of feedback from pioneering LEAF owners. 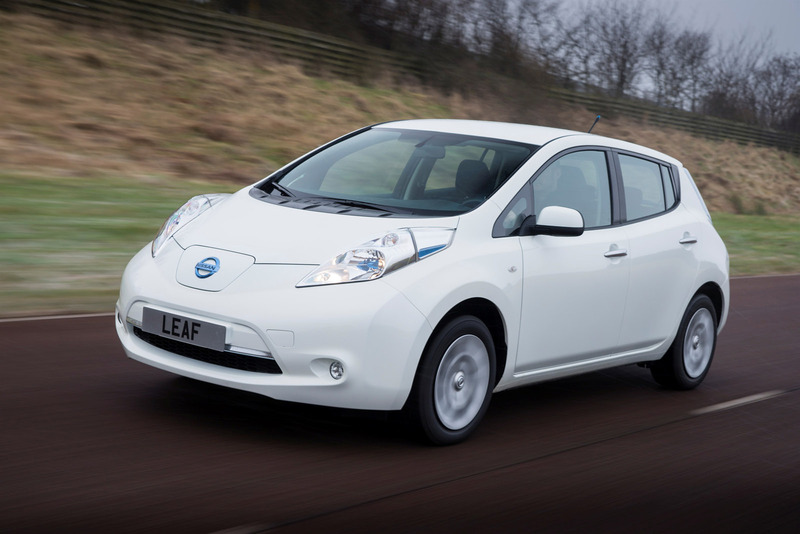 With some of the most active Internet forums of any car-owning group, LEAF drivers have become enthusiastic advocates of zero-emission mobility and of the car itself - LEAF enjoys the highest customer satisfaction rating of any Nissan model with a score of 93 per cent. As well as discussions about various aspects of life with a LEAF, the forums are used by owners to offer tips and hints to fellow users, as well as to suggest a number of improvements that could be made to the game-changing car. 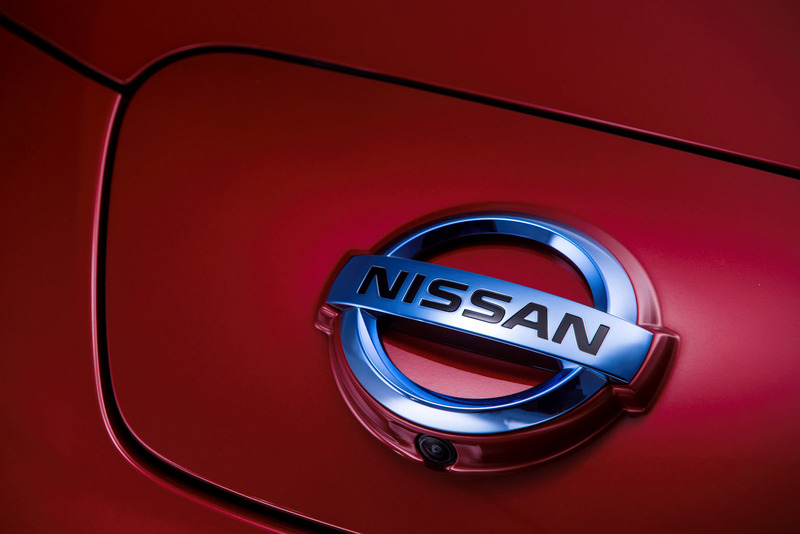 By monitoring this feedback and by holding regular owner events to gain further input, Nissan has incorporated many of the suggestions into New LEAF. 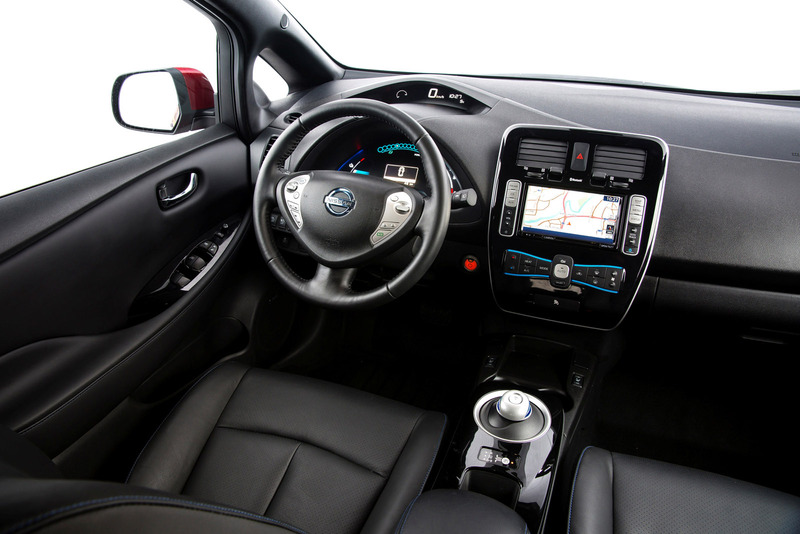 In addition to this human feedback, Nissan has been able to get feedback from aggregated data from the unique Carwings telematics system, which is at the heart of LEAF. This powerful feature gives customers the ability to control the heating and charging of their car remotely and also logs information on charging, usage patterns and distance driven. 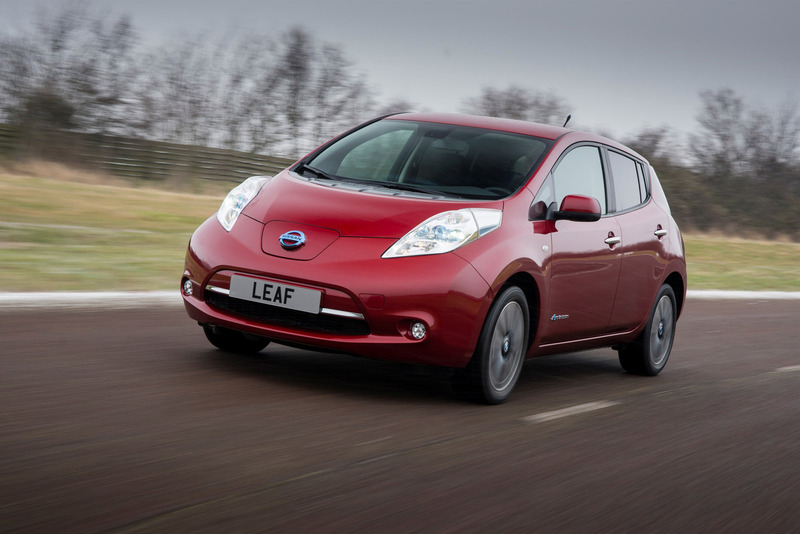 With LEAF having been on sale for more than two years, engineers at Nissan have been able to use some of the data collected to optimise the car in line with actual customer usage. 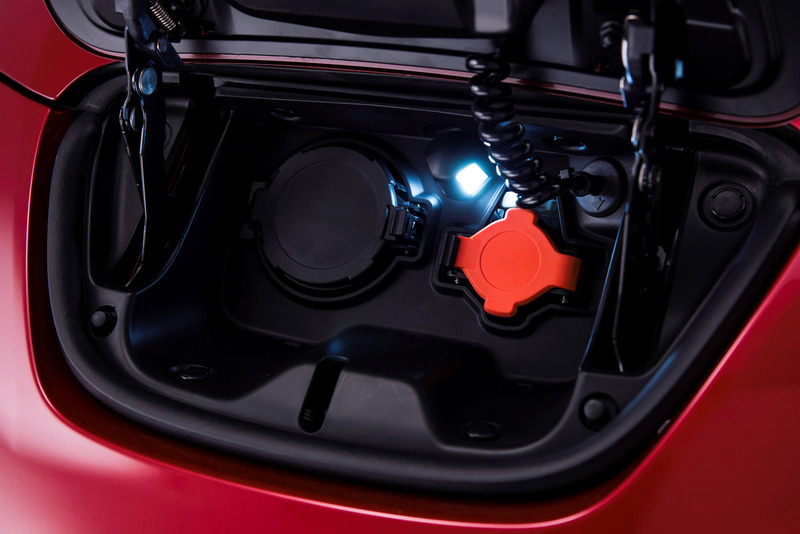 Changes range from a new powertrain assembly that greatly enhances the car's practicality to simple modifications, such as the addition of an LED inspection light within the charging port making overnight charging that much easier. 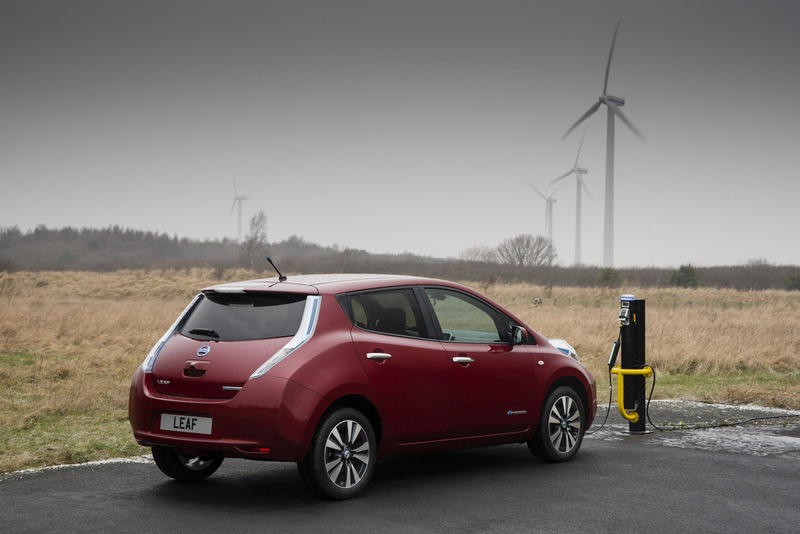 "LEAF owners are passionate about their cars and their comments and experiences have genuinely influenced many of the changes we have made to New LEAF," said Paul Willcox, senior vice president, Sales and Marketing, Nissan Europe. 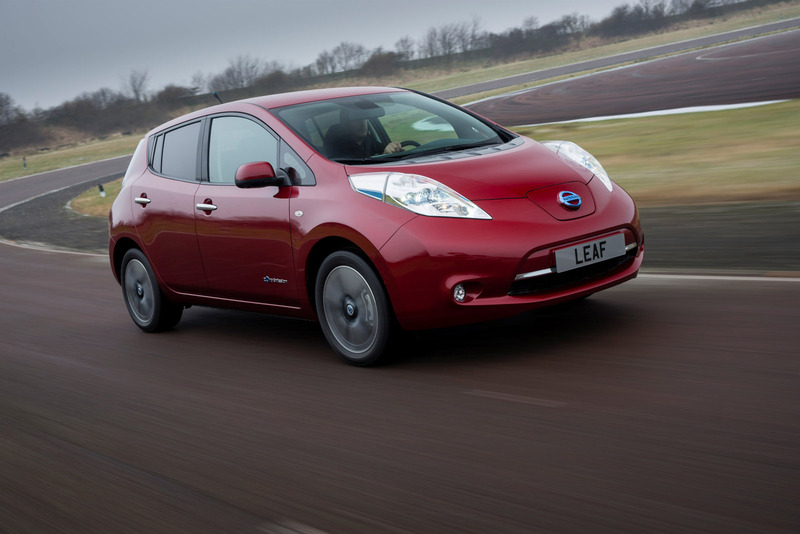 Other aspects of LEAF ownership have also changed dramatically since the car first appeared on Europe's roads, with a greatly expanded charging infrastructure and a significant rise in the number of Nissan dealers selling and servicing the car in the last 12 months alone. 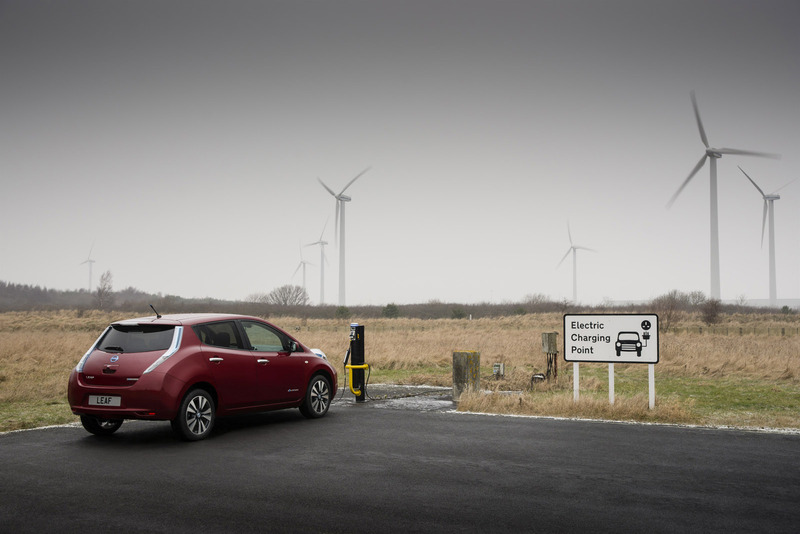 The dramatic expansion in Quick Chargers has been facilitated in part by Nissan, which has provided a number of the units to local authorities to accelerate the development of Quick Charging ‘Highways' between cities across Europe. 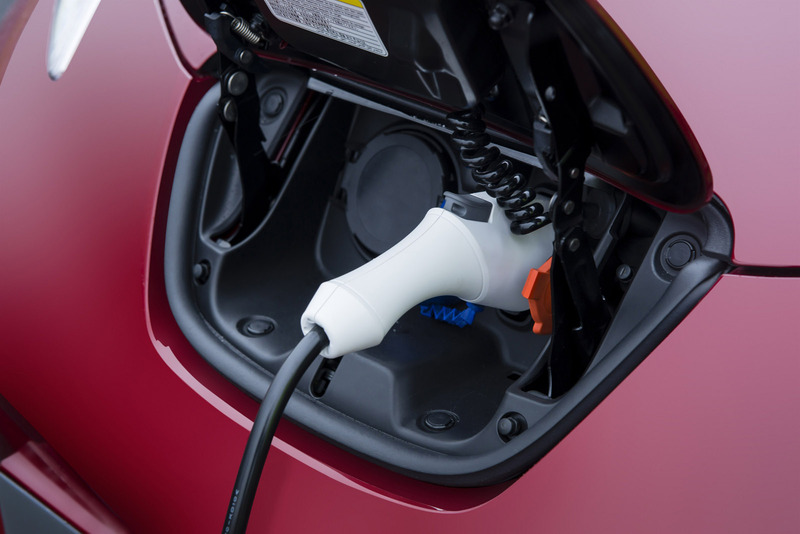 To date, Nissan is behind the installations of 200 Quick Chargers, both at dealers and strategic locations, and plans to triple this figure over the next 12 months. Customer peace of mind has also been increased with a new comprehensive warranty plan for the batteries. As well as covering the batteries against defects in materials and workmanship for five years/100,000 kms, they will be covered by a ‘State Of Health' clause which covers gradual capacity loss. 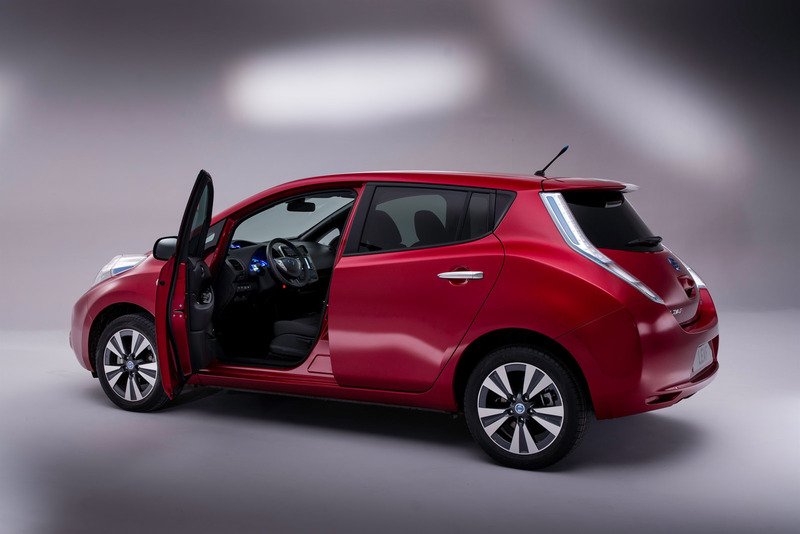 One significant change to the 2013 Nissan LEAF is the move to producing the car in three different locations: North America, Europe and Japan. In Europe, production will start shortly in Sunderland in the UK, where LEAF will be sharing the line with Qashqai and joining Note and Juke. 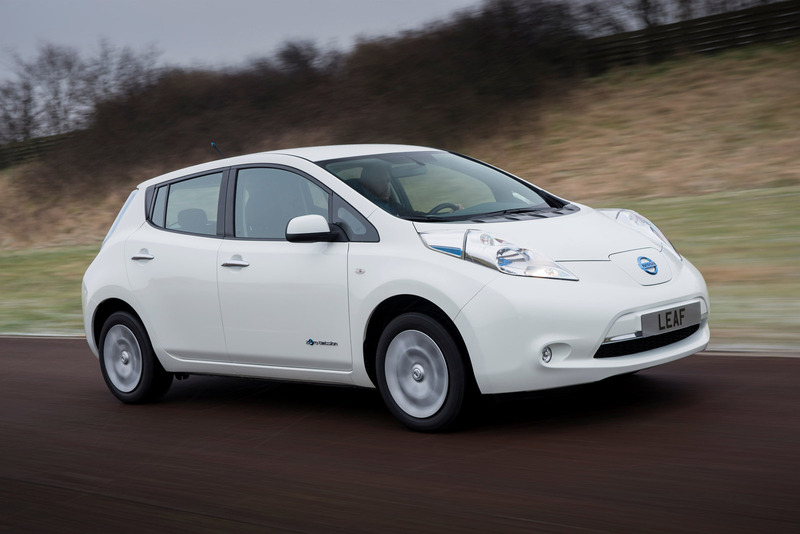 "By sourcing Nissan LEAF and its batteries in Europe, we are underlining our faith not just in the ability of the Sunderland facility to build our most technically advanced car, but also in the fact that electric vehicles can be considered a genuine alternative to conventionally powered vehicles," said Willcox. 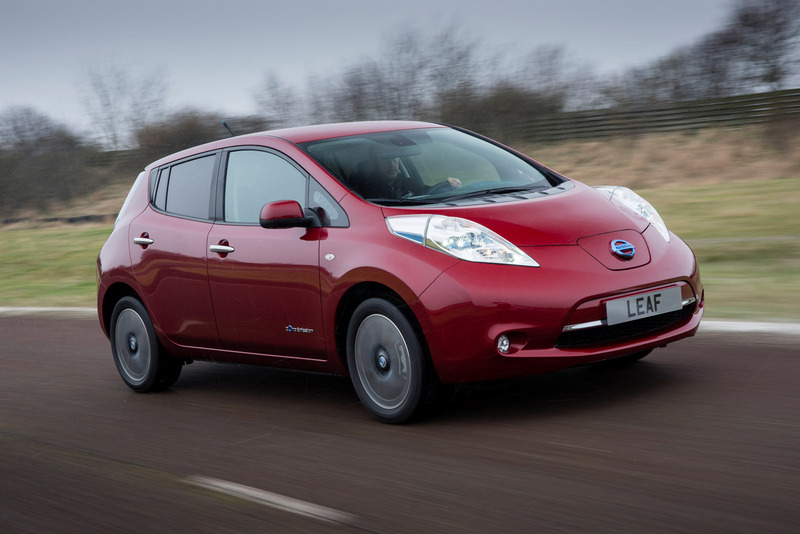 "In its two years on sale, the global success of Nissan LEAF has shown that electric vehicles offer viable everyday transport for people with a typical daily commute. "And with an ever-expanding network of Quick Chargers linking cities across Europe and improvements we have made to battery life and LEAF's drivetrain, the traditional ‘range anxiety' issue put forward by some of the nay-sayers as a reason not to go electric will soon be a non-starter," he added. 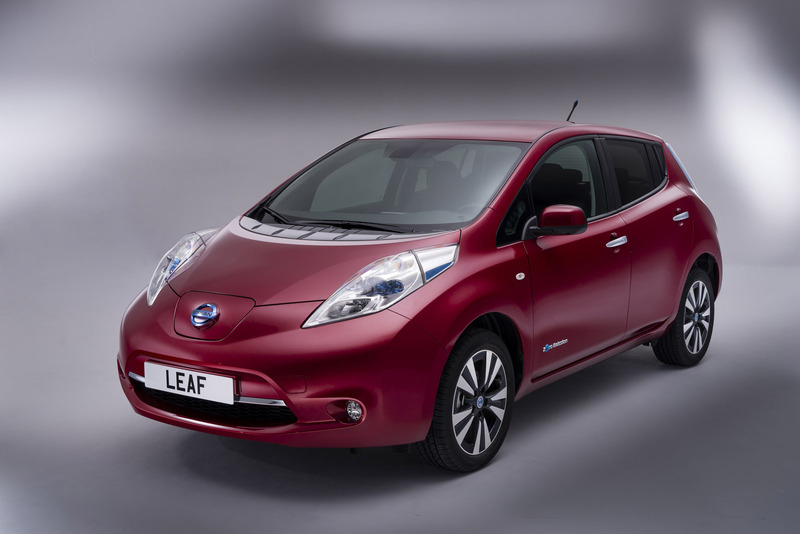 New LEAF, which goes on sale in Europe in the middle of 2013, marks an important milestone in Nissan's global zero-emission leadership. It will soon be joined by pure electric versions of the award-winning NV200, to be called e-NV200, in both light commercial van and seven-seat combi versions. Development is also underway on a dedicated EV taxi based on the e-NV200. An Infiniti EV is expected in 2015. 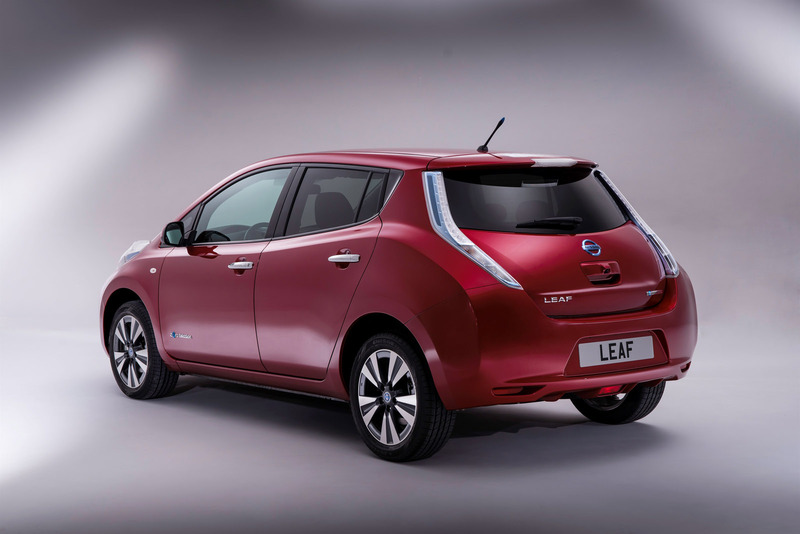 At first glance, the new LEAF appears to have changed very little from the multi-award winning original. 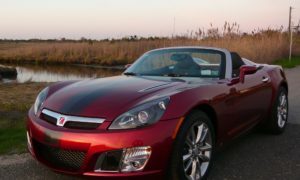 But the breadth and depth of the changes mean, to all intents and purposes, it is a new car. It is more comfortable and roomier than before and even better to drive. It will go further on a charge than before and, depending on the market, it can be charged in half the time, too. "The comprehensive improvements we have made to this pioneering car reinforce its unique character: unexpected, smart, accessible and progressive," said Paul Willcox. Together the changes underline and enhance the innovation and excitement delivered by the original. Excitement is ensured by the biggest technical change - a new, fully integrated powertrain that brings the charger assembly, inverter and the motor together for the first time. Now assembled together as a single stack, the new powertrain is again based around a high-response 80kW AC synchronous motor powered by Nissan-designed 48-module compact lithium-ion batteries, mounted underneath the cabin area to lower the centre of gravity for optimum handling. 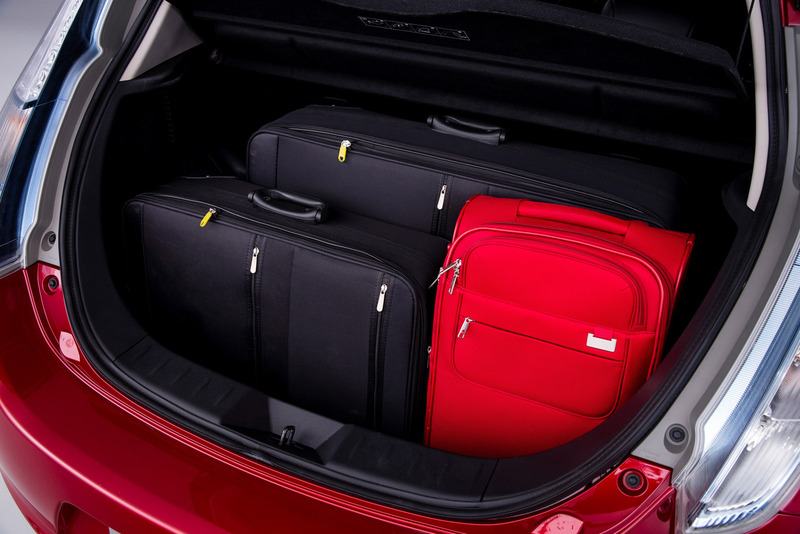 By moving the charger from the rear of the LEAF to under the bonnet, it has been possible to increase the luggage area by as much as 40 litres... or to put that another way, about the size of a typical airplane ‘carry-on' suitcase. Overall boot capacity has increased to a massive 370 litres. More significantly, the removal of the charger from behind the rear seats turns the LEAF into an even more practical proposition. 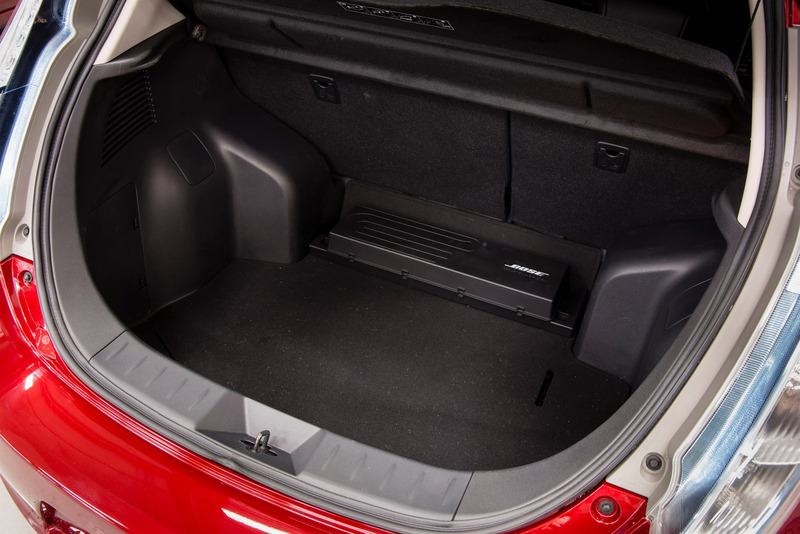 There is now no obstacle in the middle of the boot floor when the seats are folded, while rear legroom has been increased thanks to reshaped seat cushions, which allow passengers in the rear to put their feet under the seat in front. Improvements to the heating and ventilation system centre on a new heat pump system which replaces the original ceramic heater. This significantly reduces electrical consumption and delivers an improvement in real-world driving range. This is particularly relevant to markets where drivers rely heavily on the heating and ventilation systems. 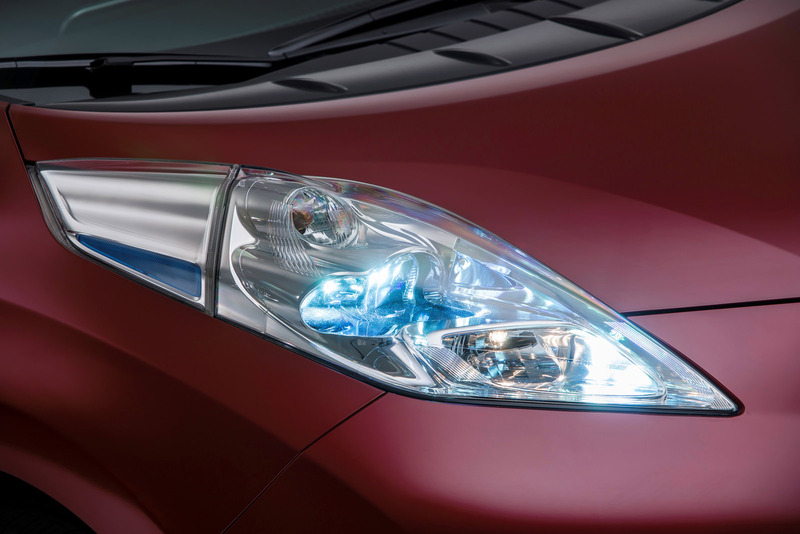 New LEAF's real-world driving range has also been improved by the only visual change to the car: a subtly revised front grille helps reduce the aerodynamic drag coefficient Cd figure from an already impressive 0.29 to 0.28. 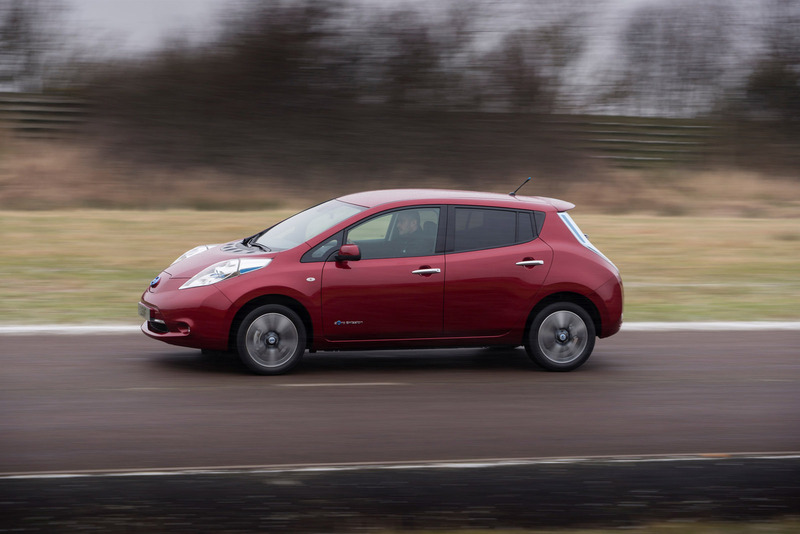 The new LEAF's driving range is certified at 124miles (200km) under the New European Driving Cycle (NEDC), which is an increase from 109 miles (175 km) in the prior model. 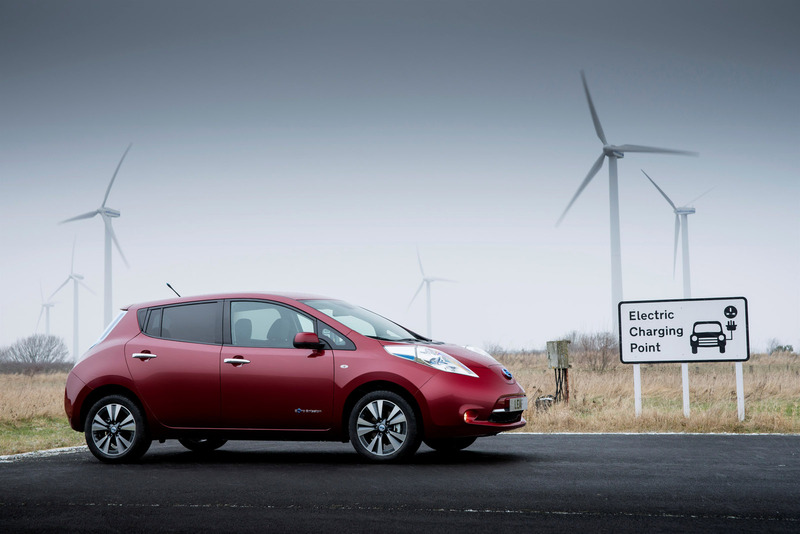 The new LEAF is more fun to drive, too, thanks to changes to the chassis, steering and brakes engineered at Nissan Technical Centre Europe (NTCE). Principal changes have been to damper settings to reduce float and deliver a more agile and dynamic drive without adversely affecting ride comfort. The steering system has been given more weight to provide steering feel more in tune with European tastes while the performance of the brakes has been improved to make them more progressive in use, while also increasing the amount of energy recovered. Changes have also been made to the Eco driving mode. 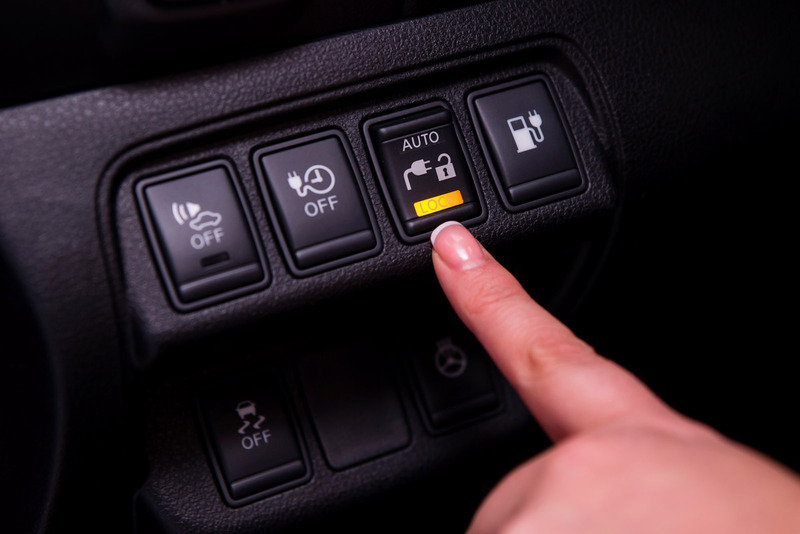 A new ‘B' setting on the transmission increases regenerative braking during deceleration while a separate ‘Eco' button on the steering wheel extends driving range by altering the throttle mapping to discourage rapid acceleration. 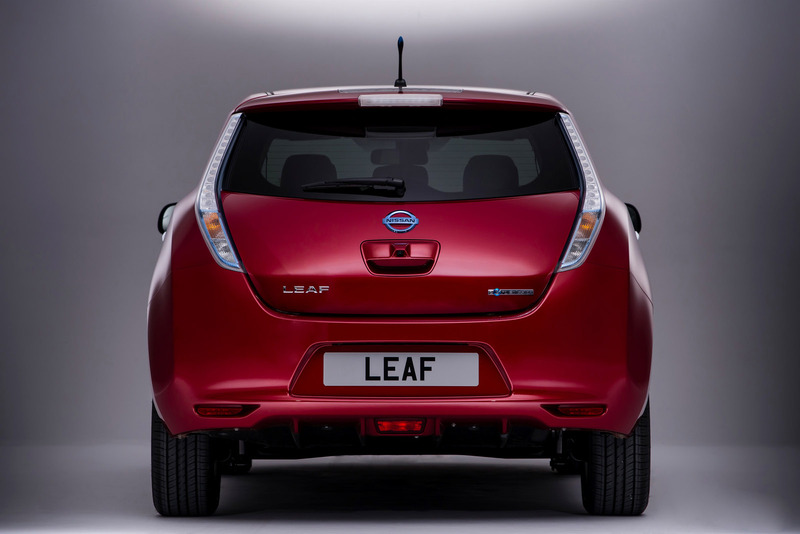 The two systems can be operated independently of one another, unlike in the original LEAF. 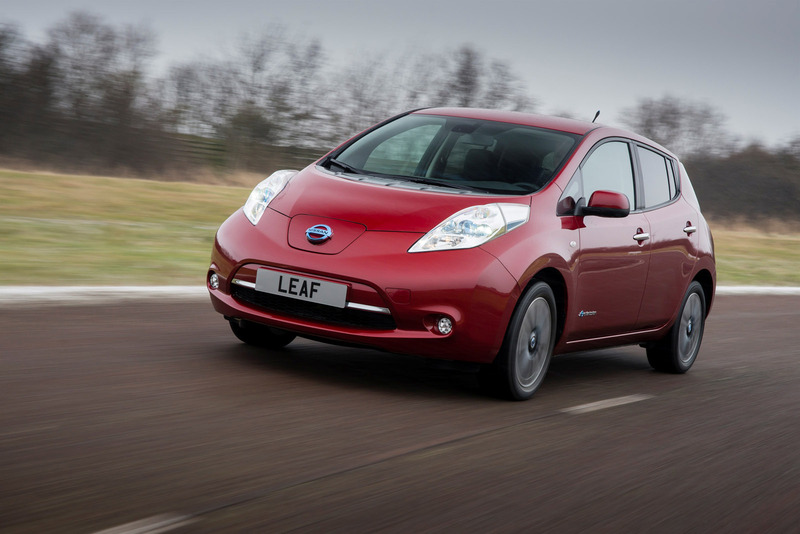 Other key improvements to the LEAF's e-Powertrain include reduced internal friction and a more efficient battery and energy management system. Reduced charging time is also promised by a new option that will cut the conventional charging length in half, from eight to four hours. A new 6.6kW on board charger will permit the use of 32 amp charging using the latest generation of chargers installed in domestic and commercial properties. A typical domestic socket delivers 10 amps. A more affordable option than a full Quick Charger, some authorities are installing public charging posts already capable of delivering 32 amps output. The adoption of a 6.6kW charger will allow drivers to give their battery a meaningful boost even during a short stopover. 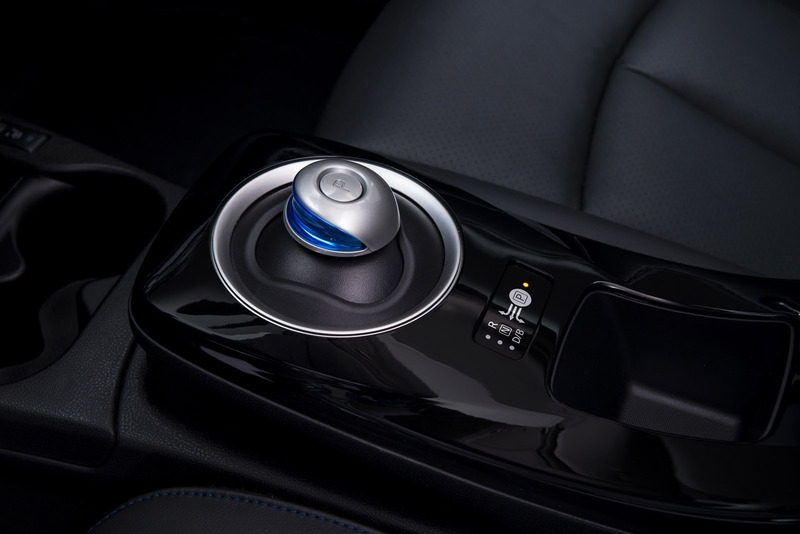 Other technical innovation enhancements include a new Bose® audio system specifically developed for the LEAF. 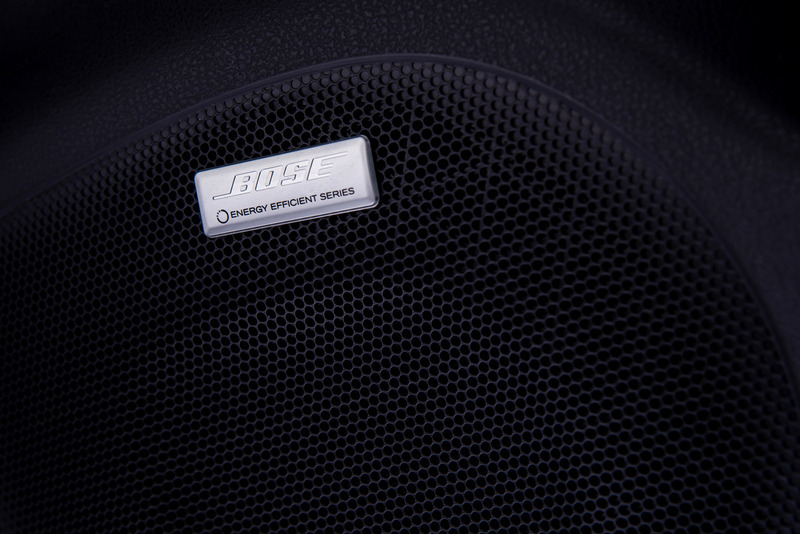 The Bose Energy Efficient Series sound system delivers a powerful, high quality audio experience but from a unit that's both more compact than similar premium systems and which uses about half the electric energy. 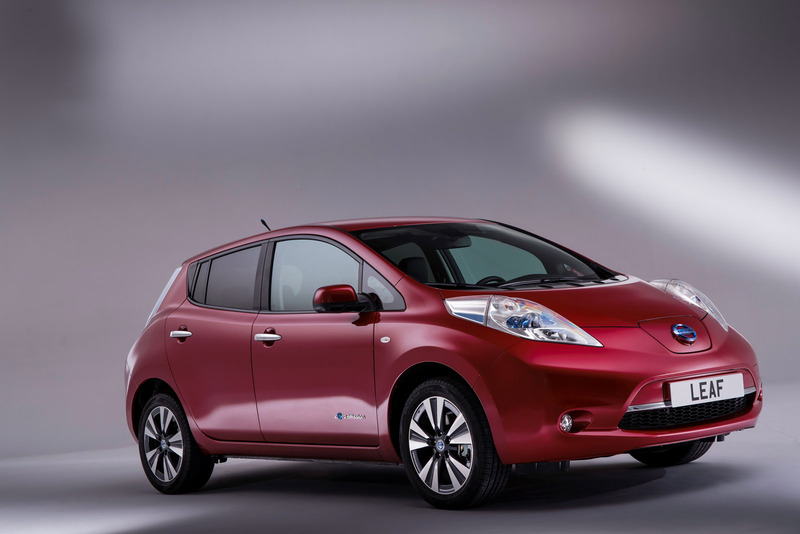 New LEAF also introduces a revised and updated version of Nissan's acclaimed Carwings Navigation system. 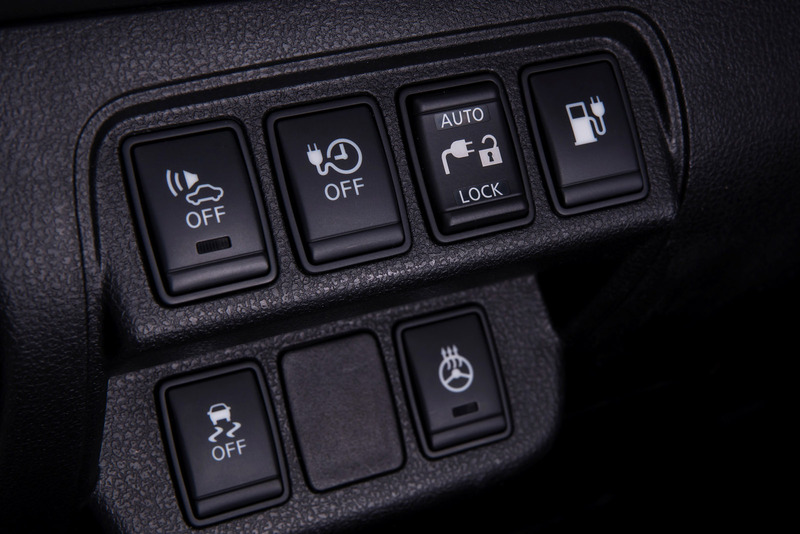 This innovative feature allows owners to manage and remotely control features from a computer or smartphone and is unique to the LEAF. The updated version of Carwings adds a number of new features, including enhancements to the remote heating and air-conditioning functions, greater smartphone integration, improved voice recognition facility, eco-routing and real-time information on the nearest charge points. As well as a large colour touchscreen, satellite navigation and Bluetooth connectivity for mobile phones and music players, the new system incorporates Google Send-To-Car technology which allows an owner to plan a journey on a PC or tablet at home or in the office and then send the instructions to the car. It incorporates other advanced features including access to Google's POI search, and allows drivers to access up to date weather forecasts and flight information. The navigation system now includes a motorway ‘exit view' complete with lane guidance to help when leaving highways and also displays prevailing speed limits with a driver-set speed warning that provides visual and audible alerts when the car hits a certain speed above the prevailing limit. 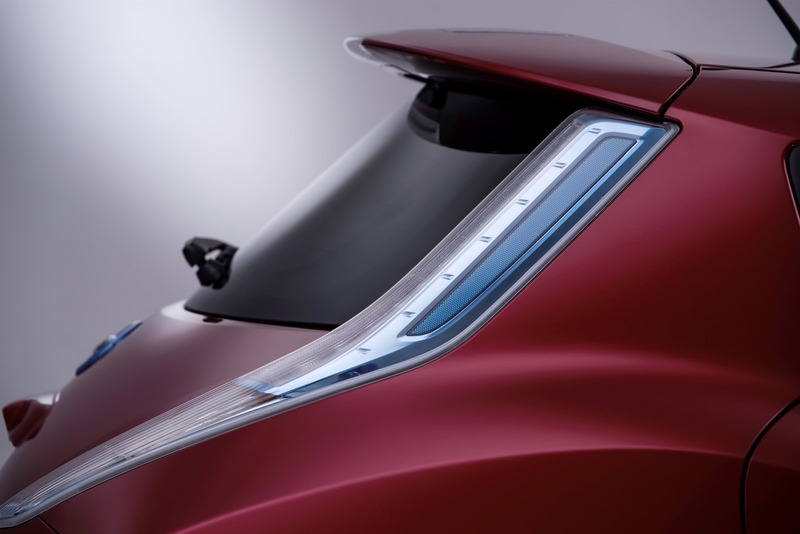 Nissan's Around View Monitor is another technical innovation now found on New LEAF. AVM uses a network of cameras to generate a 360-degree overhead image of the car on the central display, simplifying parking or any difficult manoeuvre. Important changes in the cabin include the seats. As well as being redesigned for better support, the front seats now incorporate height adjustment, while a new bio-fabric covering has been introduced. Where the original model featured material made from 39 per cent recycled plastic bottles, the new bio-fabric is 100 per cent derived from sugar cane, further improving LEAF's overall recyclability and environmental credentials. Leather is also now available, as is a darker and more practical interior finish. 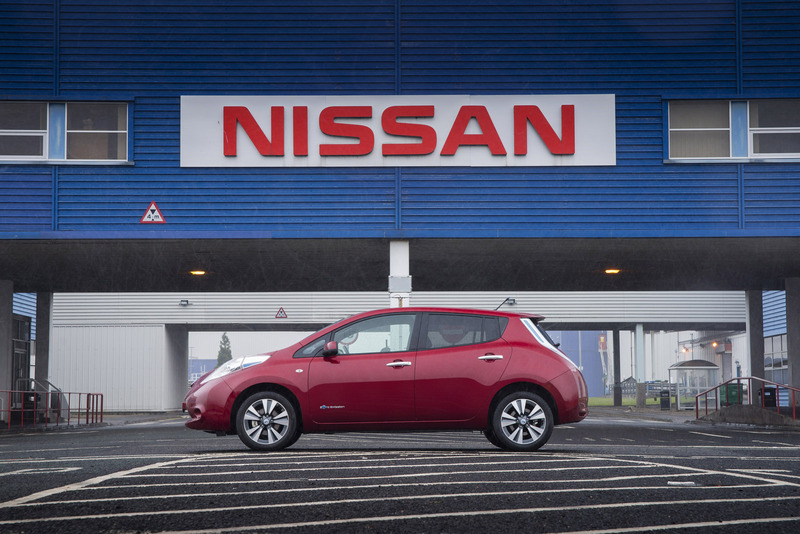 Another area where Nissan has made everyday life even easier is in the charging port area at the front of the car. 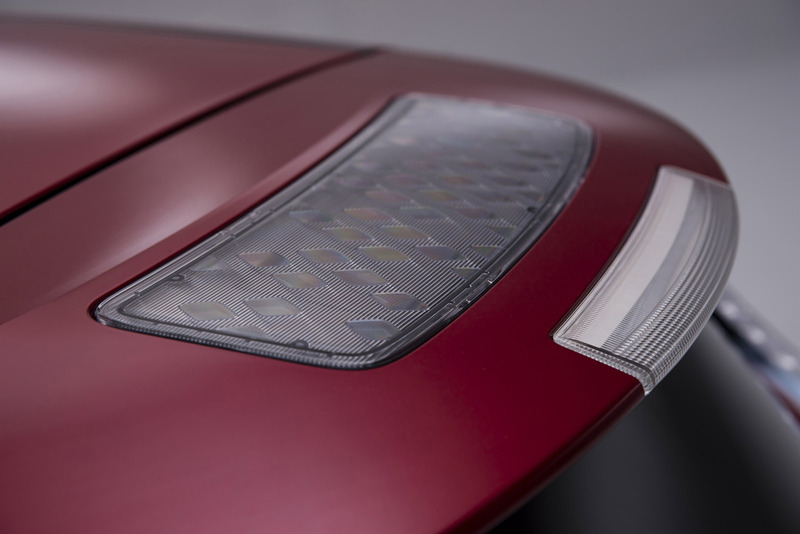 Thanks to the introduction of a new LED inspection light, drivers no longer have to rely on street lighting to connect their cars to an electric source at night. The charging port has been reworked to improve usability and security and its release mechanism now uses an electric switch. Additionally, the charge cable now features an electro-mechanical locking mechanism that removes the requirement to lock the cable to the car manually. Other detail enhancements include a new i-Key that also controls the charging port cover and cable lock. 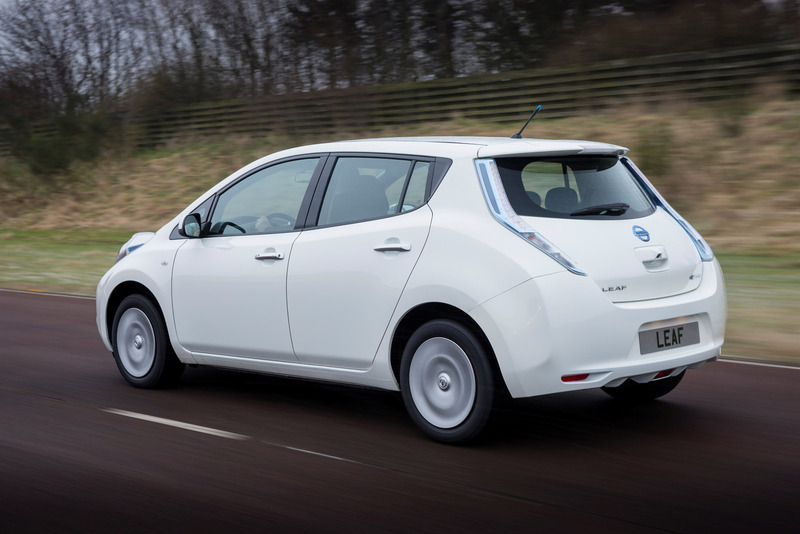 These significant updates are incorporated as part of a major range expansion that sees LEAF adopt the familiar Nissan three-tier trim line-up of Visia, Acenta and Tekna to broaden the appeal of LEAF still further. The Visia version offers a lower price entry point while Tekna models feature even more standard equipment than the original model. The new range structure also gives buyers more styling, design and trim options. 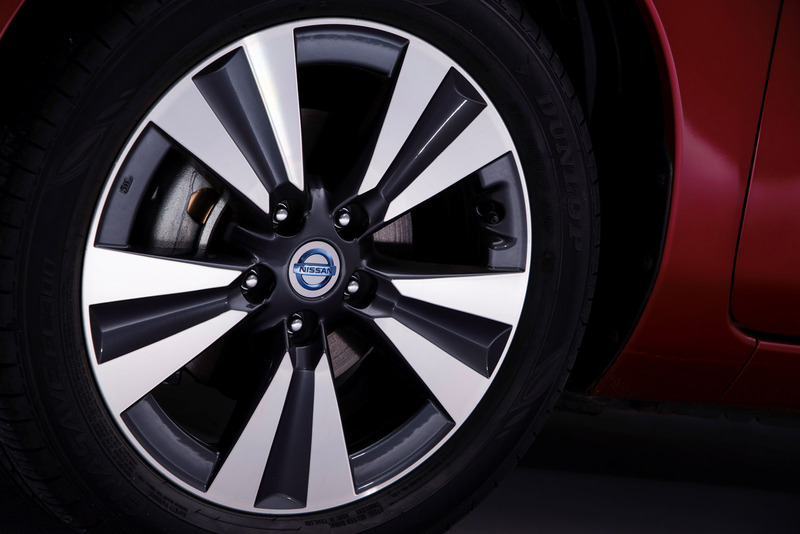 Visia models have 16-inch steel wheels with full covers, black door mirror caps and halogen headlights, for example. Acenta versions have 16-inch alloy wheels, suede fabric seat trim, body coloured mirror caps and rear privacy glass. As well as having leather seats as standard, Tekna models come with 17-inch alloy wheels as standard, LED headlights, the Bose sound system and AVM. A new colour palette for all versions now extends to seven different colours with solid, pearl and metallic finishes all available. Just about the only thing that hasn't changed between the original and New LEAF is the model's comprehensive level of standard safety equipment. As well as front, side and curtain airbags, New LEAF has ABS and EBD with brake assistance as standard along with the Electronic Stability Program (ESP). 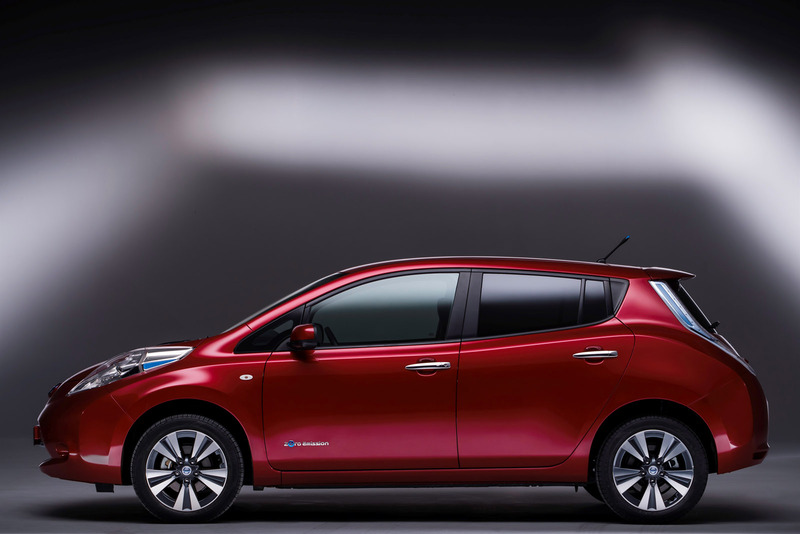 "When it was launched, Nissan LEAF represented a step into the unknown. Two years later it has established itself as viable solution to the world's transport and environmental problems. The new LEAF is ready to spread the word even wider," said Willcox.